Today I visited The Brooklyn Botanical Garden (BBG) with my son and his friend. I know that this doesn’t sound initially like it has anything to do with books or reading but bear with me. It was the most beautiful day, the sun was shining and a delicious cooling breeze was blowing, I wandered through this most perfect of botanical gardens, watching the boys enjoy the delights of this place, I couldn’t help but think of how wonderful it would be to have a tract of land like this. 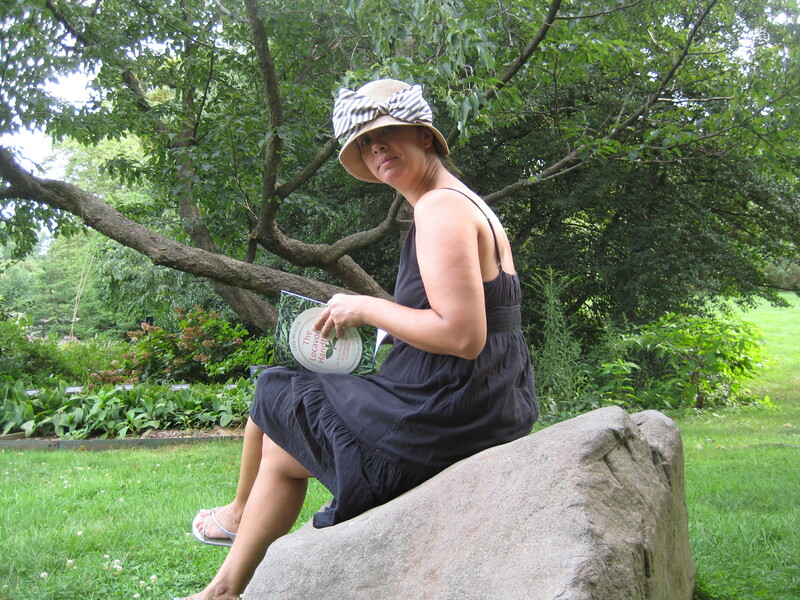 It has dozens of wonderful places to sit, be in nature, and read. The scents of the plants, the flowers, the herbs and the gentle sounds of the rustling trees offer an idyllic landscape for literary pursuits. Today,the highlights were the Herb Garden and the Shakespeare Garden. The Herb Garden is a magnificent planted prospect of vegetables, fruits, and herbs. It had this city dweller dreaming of one day having a garden of her own. 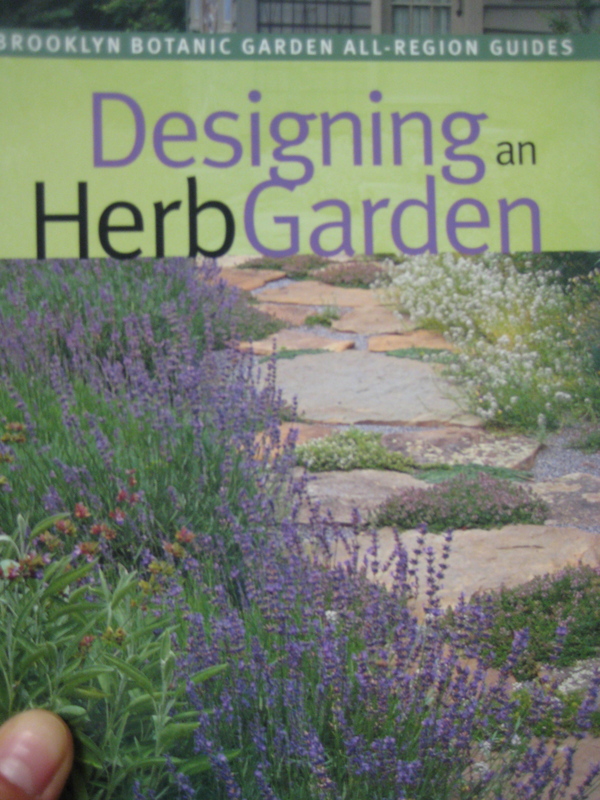 The book, Designing an Herb Garden, published by the BBG will inspire my dreams. But for now, I have to settle for potted herbs at the windows of my apartment, my local CSA, and farmer’s markets. To this end, The Locavore’s Handbook: The Busy Person’s Guide to Eating Local on a Budget by Leda Meredith will keep me happy. The Shakespeare Garden is a special place and pretty popular given the amount of people in this small garden today. I suppose the Bard seizes people’s imaginations even in the heart of Brooklyn. 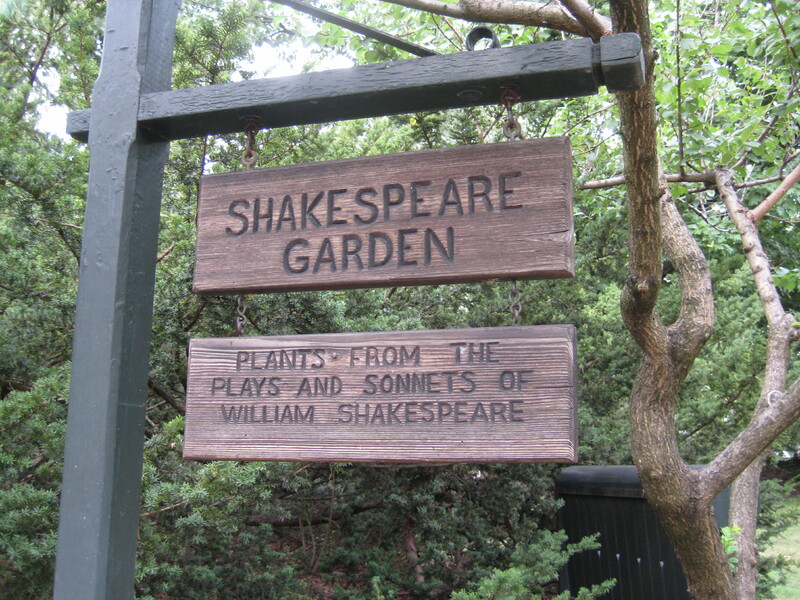 It is a cottage-style garden abundantly planted with over 80 flowers, herbs, shrubs, and trees that appear in Shakespeare’s works. The beds, bordered by twig wattling, were lush on this late Summer day and had this reader thinking of the words that inspired such a delightful and magical place.